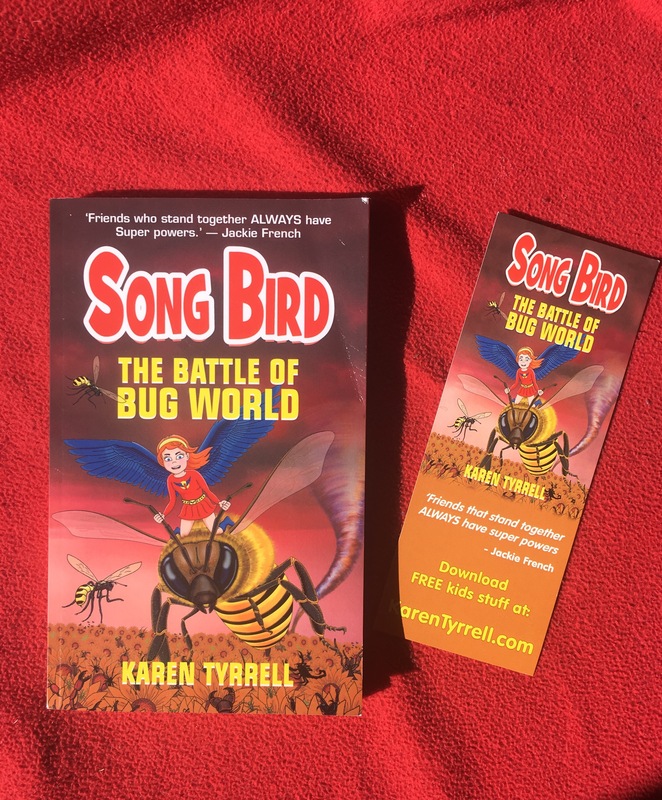 Interview with Karen Tyrell, author of Song Bird Two: The Battle of Bug World. Welcome Karen, and thank you for taking the time to answer my questions. I hope that these questions will give my readers some more insight into how you have developed the characters in Song Bird , how music inspires and how we can all take better care of the world we live in. What inspired you to write the Song Bird series? Fan girls of my Super Space Kids series requested I write a new series with a girl superhero as the main character, especially written for adventurous girls. Songbird Superhero, AKA Rosella Ava Bird character is based on my experiences as a 11-year-old geeky, bullied girl. Each night, I dreamt I could fly, to escape my bullies. Later, I joined the choir and learnt how singing boosted my self-esteem and self-confidence. The following year, I started high school where I discovered my love of science and maths. I wanted Songbird to represent the powerful and free spirit I aspired to be. Music is so important to all of us and can give us strength. How does music play a role in your life and why did you think your superhero needed music to help her? Music plays a key role in empowering me in tough times. As a bullied 11-year-old girl, I joined the choir and learnt to sing. My voice was something no bully could defeat. When I was a bullied teacher, music comforted me when I developed PTSD and anxiety. My student and his parents bullied me to breaking point. Music gave me joy and certainty, a place where I drew confidence and peace. Like me, Rosella Ava Bird joined the school choir discovered her superpowers lived within herself. Rosie is such a strong and confident character, even when she doubts herself. Is your character Rosie based on anyone you know? Rosie is a mix of me and the girl I dreamt to be. I would love to sing and to fly… And use my superpowers for good, to save and protect others. I really love that you have included children with disabilities in The Battle of Bug World and portrayed them as strong, clever, brave and very able – what inspired you to do this when most books do not? I have a mental illness that’s invisible. Many people label my illness as a disability. I don’t. My illness is part of me. I’ve found writing lets me express my struggles and successes in ways that empower myself, and help others. I want to encourage kids to connect with their inner superhero and live strong. I once taught a boy-genius who was smart and brave, and an incredible maths science whizz. He also happened to move about in a wheelchair. In Songbird, I wanted to shatter the disabilitry stereotype. Like the boy I knew, Amy Hillcrest, is quite the hero. How do you think teachers and parents can inspire young children to step up and think for themselves when it comes to looking after our planet? Children should read and learn about their environment. Realise, they are a part of it and can make a difference to it. My message: We can all lend a hand to care for our environment. Many hands make light work. Did you research to learn more about how bees and insects function in our world? YES. I studied how insects and bees behave, especially the bee’s waggle dance. I spoke to beekeepers of honey bees and Australian stingless bees. I spoke to the director of Bee Aware at the Logan LEAF eco festival. How do you look after bees in your life? Do you have any tips for our young readers as to what they can do? I do simple things like plant brightly coloured flowers and fresh herbs in my garden. I grow purple agapanthus and native grevilleas to attract bees. I put out clean dishes of water for the bees to drink. I’m careful not to spray pesticides on the grass or the garden. That would poison the bees. Instead, I pull out weeds. How do you think children can make a difference in our world in relation to the degradation of the environment without having to always rely on adults? Kids can plant and nurture their own garden, pick up litter especially in parks and waterways, pack their own lunches without plastic, turn off lights and taps, sort out family rubbish into glass, paper and cans ready for recycling bins. What is in store for us in Book 3? Song Bird returns to save the lost rainforest, revealing an ancient mystery. Thank you Karen for taking the time to answer all of my questions. Such honest responses and really drawn on your own life experiences and those who you have come across that show their own super powers. 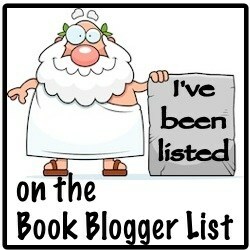 I am really looking forward to reading more of your inspiring and adventure filled stories.